How Can the Library Help Me Start My Business? You’re going to start a business, congratulations! Now, where do you start? Choose from the below categories to refine your search. Prospera offers educational and professional grants for Hispanic start-ups. Their Spanish-speaking experts connect business owners to subject matter experts in legal, accounting, planning, and marketing. Learn more about their free professional business development services. For women entrepreneurs developing their business plan, the Women’s Business Center of Charlotte is available to review and offer feedback on written business plans.Learn more and schedule your one-on-one appointment now! In addition to access to mentors, successful entrepreneurs and industry experts, LACCC members are also invited to attend classes offered in Spanish and/or English on “How to Start a Business” and “How to Design or Revise a Business Plan.” View upcoming events, and reserve your seat. The Charlotte Mecklenburg Library offers sample business plans, business research tools, searchable databases and much more. Visit them online to learn more, or better yet, visit the second floor of the Main Library to get started! Certified SCORE Mentors can help you develop your plan and offer expert advice for starting your business. The best part? It’s all free and confidential. Find the right mentor for you! For more information, register for the Charlotte SCORE course on startup basics, which covers the basics of starting and planning for a small business. 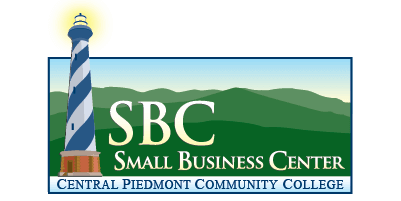 Get tips for writing a successful business plan through online training with SBTDC. Learn more here! Through a step-by-step process, the SBA has a tool that will guide you through writing a business plan at your own pace. Create an account, and take the first step to having a great plan! It all starts with a plan! And when it comes to business planning, the Small Business Center offers courses and seminars to help you research and write a sure-to-succeed business plan. The best part? Many of these seminars are free! View their current schedule here. Ready to hire employees? The SBA can guide you through the process, as well as the laws surrounding employment. Grow your team with the SBA! HR rules and regulations are ever changing and can be complicated, and at The Employers Association, they stay on top of all things HR. 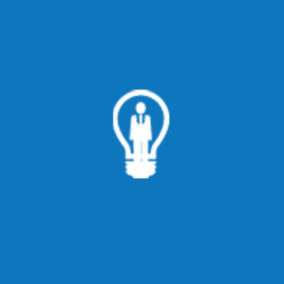 They provide answers, connecting entrepreneurs to the resources they need to handle employees and create a great place to work. Learn more about the HR services provided by The Employers Association. Members also have access to the HR Advice Line, an unlimited telephone consulting service to help members solve human resource problems. BLNC has compiled a list of requirements for business owners who plan to hire employees in North Carolina. There’s no doubt about it — starting a business is an investment. With the SBA, you can learn why having business insurance is important, tips for buying insurance, types of business insurance, and much more. Access business insurance information from the SBA! From taxes to insurance, SBTDC has created a startup guide that includes information on starting a business, including the legal considerations and requirements.Access the PDF now! How to Choose Your Legal Structure: When it comes to the legal side of starting and running a business, the Small Business Center offers courses and seminars on a wide variety of topics, including how to choose your legal structure. View their current course schedule on their website! Business Structures Comparison Chart: With this Business Structures Comparison Chart, you can quickly learn the advantages (and disadvantages!) of different business structures. BLNC provides you with a brief overview of basic business structures and helpful links to help you with business formation in North Carolina. When it comes to Charlotte’s population, economy and industry trends, the Charlotte Regional Business Alliance gives entrepreneurs access to the research and data they need to start and grow their business. Charlotte Demographics: Charlotte is diverse in population and workforce. To learn more about our local population, projected growth demographics and more, check out these fact sheets and interactive dashboard, created by the Charlotte Chamber of Commerce. Mecklenburg County Economic Indicators: Charlotte’s a banking town, right? While Charlotte is the nation’s second largest banking center, what might surprise you is that finance is not the largest industry or employment sector. Thanks to the Charlotte Chamber of Commerce, you can learn more about the factors driving Charlotte’s economy here. Charlotte Chamber Research Team: For even more information about economic and demographic trends in Charlotte, contact the Charlotte Chamber’s research team. Custom research is available for Charlotte Chamber member businesses at the board of advisor level and more! If you need to find information about your market and its consumers, the Charlotte Mecklenburg Library has just what you need. Use Reference USA to find competitors.SimplyAnalytics can be used to discover local demographics. And, of course, ABI/INFORM is available to help you search for industry trends. View all of the Library’s resources here! For information on what’s happening in Charlotte’s workforce, look no farther than Charlotte Works. They’re your single source for any industry, occupational, demographic or economic data you might need. Instead of handing you a spreadsheet, they’ll provide the perspective and forecasts you need to help you make the most informed decisions about starting a business in Charlotte. Access your in-depth analysis here! If you’ve got an innovation that could serve national and global markets, it’s important to undergo customer discovery and validations before you create your business plan. Ventureprise Launch, supported by NC IDEA, is a cohort-based, selective initiative that guides entrepreneurs through customer discovery and business model generation. Learn more to determine if this is right you! Access NC allows you to search property details and map out locations in addition to getting drive-time and distance reports related to demographic information such as workforce, population and businesses. The Charlotte Regional Partnership offers comprehensive demographic information for the 16 county Charlotte region. No matter what, taxes can be tricky, but this is especially true for small business owners. The SBA has tools to help you find out if your business needs a tax ID, as well as what the benefits and requirements are. Learn more about small business taxes from the SBA! Did you know that CPCC offers a series of classes devoted to your small business taxes? Learn about your taxresponsibilities, recordkeeping and filing requirementsand make filing tax reports easier than ever! View the current schedule here to reserve your seat. Taxation for small businesses can be simple or complex depending on size and business structure. BLNC has compiled basic information to help businesses understand tax requirements in North Carolina. Prospera hosts workshops throughout the year that deliver in-depth information from experts in Spanish, on a variety of topics that are essential to every business owner. See a full schedule of workshops on their event calendar! NBMBAA Charlotte hosts several seminars and learning circles throughout the year that support the small business community in the starting, growing and thriving phases. Visit nbmbaacharlotte.org to register for upcoming events or to become a member today! City Startup Labs teaches, coaches and advises individuals and teams on how bring an idea to market. Get the ball rolling by scheduling a meeting! The Western Women’s Business Center is an initiative established by Carolina Small Business Development Fund to provide start-up and existing women-owned businesses with access to resources and support. Through one-on-one assistance, in-depth business coaching and counseling, educational opportunities, access to capital and more, the WWBC works to meet the needs of women entrepreneurs. From drafting a business plan to marketing your business, the WWBC helps women entrepreneurs like you achieve your business dreams.Find more information here! The Women’s Business Center of Charlotte offers one-on-one business counseling to help women entrepreneurs start their businesses. They also host seminars and classes focused on a variety of key business topics, such as marketing, finance, certification and more. Visit them online to learn more about their programs and training opportunities! The Charlotte Mecklenburg Library offers a variety of classes to help you get your business up and running.Register for a course here! Other resources includeLynda.com, which allows you to learn a new skill online, as well as Universal Class, which gives you the opportunity to continue your education online. Are you ready to start a business? Find out with online training from SBTDC! Continue reading "The Latin American Chamber of Commerce of Charlotte – Café y Pastel Networking Latino Breakfast at BlueCross NC Charlotte Center"
Continue reading "Taking the Leap Charlotte"
Continue reading "QuickBooks Level 1"
Continue reading "Is Starting a Business Right for You? SCORE Workshop Series 2-5 ($150)"
Continue reading "Is Starting a Business Right for You?" Welcome to Charlotte Business Resources. Our goal is to connect you with the information you need to start and run a successful business. CBRbiz.com represents a community-wide collaborative effort by a network of organizations committed to working together to save you time and money by providing relevant business resources & information. Join us on your favorite social media network to stay current on news, information, and resources. 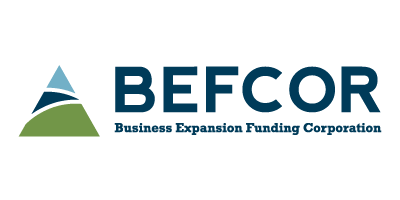 BEFCOR is a non-profit corporation providing business owners with long-term, fixed-rate financing for owner-occupied real estate and other fixed assets. Carolina Business Capital (formerly Centralina Development Corporation) partners with banks to finance real estate and heavy equipment for small businesses across North Carolina. CMSDCs mission is to expand business opportunities for Minority Business Enterprises. Charlotte Business INClusion is a City of Charlotte program that seeks to increase utilization of Minority, Women and Small Business Enterprises in local contracting opportunities. The Charlotte Regional Business Alliance is a membership, volunteer-led organization that creates competitive advantage by growing the economy, advocating pro-business public policies and delivering innovative programs and services. We are a non-profit organization serving black-owned businesses in the Charlotte Mecklenburg region. The Charlotte Mecklenburg Library offers a wide variety of resources for businesses and non-profit organizations. The workforce development board offers services and programs to support your business’s growth potential: customized recruiting assistance, training grants for new and incumbent workers, labor market information and more. The City of Charlotte provides business development support through a variety of services and programs. City Startup Labs (CSL) has a mission of reimaging of African American millennials (Black Adults 18-34 yrs.) as a new class of entrepreneurs and innovators. The Small Business Center at CPCC provides expert assistance and valuable resources to prospective and existing small business owners and non-profit organizations. The purpose of the Latin American Chamber of Commerce of Charlotte (LACCC) is to offer a sustainable bilingual platform of programs, events and services that engages, empowers and supports both Latino and non-Latino businesses, entrepreneurs and professionals. 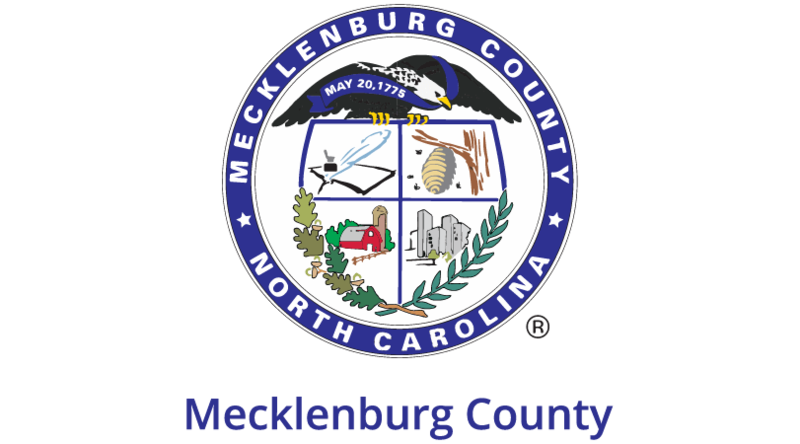 Mecklenburg County oversees many business license and permit processes and seeks to increase participation of MWSBE firms in the business community. The National Black MBA Association (NBMBAA), Charlotte Chapter, a non-profit organization established in 1985, is a professional development organization serving the Charlotte community at large. NAWBO Charlotte is a professional organization specifically designed to fuel the success of the 42,000 women-owned businesses in the greater Charlotte area. SCORE counselors and mentors are dedicated to helping entrepreneurs and small business owners start and grow successful businesses. The nonprofit Center for Community Self-Help and its financing affiliates provide business loans and technical support to businesses throughout the Charlotte region. The SBA provides a variety of assistance to small businesses including loans and loan guarantees as well as counseling and training workshops – bond guarantees and business advocacy. The Employers Association is Charlotte’s premier partner for human resource solutions, helping employers build successful workplaces. Ventureprise is a broad-based hands-on strategic effort to help high growth startups and early stage companies grow. The Women’s Business Center provides tools and support to help women-owned businesses start and grow.